Never Give Up: My College Graduation... Thirty Years Ago! Not much comment needed here. 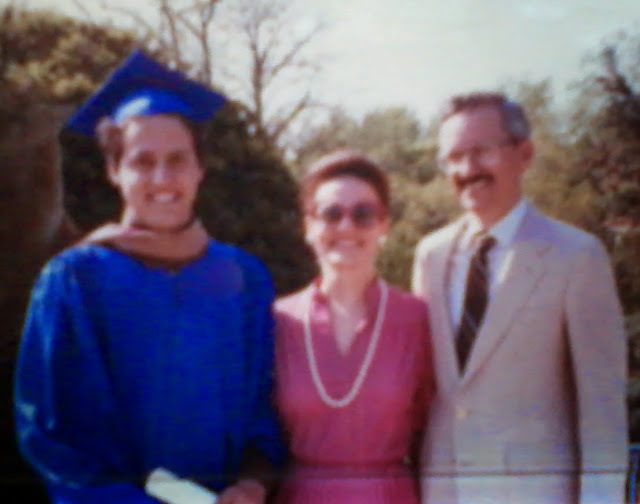 I graduated from college 30 years ago. That's thirty years ago. As in 1985. My parents in this picture are both younger than I am today. Life is mysterious. It's also difficult, but it's beautiful and it's worth it. Congratulations to all the graduates of the Class of 2015! God willing, the next thirty years of your lives will be as blessed as mine have been.